Incepted at Neemuch, (Madhya Pradesh, India), in the year 2014, we “The Herbs N Spices”, are a Sole Proprietorship Firm, that is counted amongst the leading Manufacturers, Exporters, Wholesaler, Importer, Retailer, and Traders of Herbal Roots, Herbal Plants, Herbal Seeds and much more.Under the efficient leadership of our Mentor “Abhishek Singhal (Proprietor)”, we have been able to achieve a remarkable and dynamic position of pride in the industry. We export our products to all over the world. The hi-tech and spacious infrastructural facility of our enterprise facilitates us to accomplish the exact necessities of our valuable patrons in a streamlined manner. We have systematically alienated our infrastructural facility into numerous departments for efficient production processes. Apart from this, the products provided by us are processed using quality approved ingredients and pioneering machines at our innovative production department. We devote Liferr to the holy feet of Lord Dhanwantari. 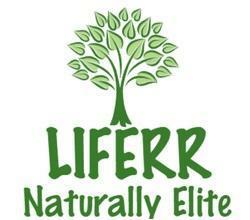 LIFERR is a brand Owned by The Herbs N Spices, Neemuch. We bring to our Customers a wide range of Ayurvedic Herbs as obtained from nature in Pure and Naturally Elite form. Our Journey is to provide an effortless availability of Herbs at the Door step of Consumers.Every herbs had its different Healing Power gained from continues changing environment. according to the climate, soil conditions. Liferr Procure herbs after proper scrutiny from different parts of world with maximum healing properties. The cornerstone of the Sinhal Group of Industrie was laid out in year 1992 by Mr.Satayanarayan Sinhal. The Sinhal group owns 4 pulses proccesing Plants,Two Gram flour Units and 3 colour sorting units in Neemuch. The group is a prominent name in malwa region and recognised the opportunity in the field of procurement,upgradation and distribution of herbs and spices from our town, As our town:Neemuch(M.P.) 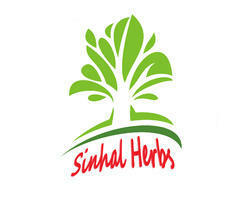 is a major hub in trading of herbs and spices in India. Till & Yield Exports (P) Ltd.